Did you know that magazine attention levels are 44 per cent higher than the global norm for all other media? Read more insightful magazine truths here. Did you know that magazine attention levels are 44 per cent higher than the global norm for all other media? And that 93 per cent of the population aged 14+ read a magazine in the last year? 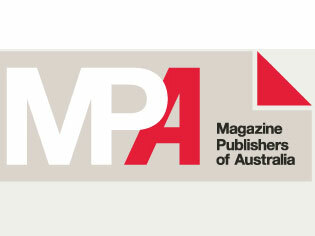 These facts and more are part of the MPA’s latest magazine campaign. • Australians love magazines. Per capita, we are among the biggest consumers of magazines worldwide. • More than 230 million magazines are purchased annually. That’s more than 13 for every person aged over 14 years. • Total readership of consumer magazines remains remarkably robust, despite the growing choice of media options. • Magazines are a considered purchase. People actively seek out magazines that interest, inform and inspire them. • 1 in 2 people value magazines as something they reward themselves with and enjoy, associations that no other media can match. • More than 4 in 10 people say the information in magazines is tailored to their needs, more than double the scores of TV and radio, with only the internet scoring as well. • Magazines know their readers and what they want. They target the content, including the ads, to their audience profile. • This means magazine advertising has much greater relevance for audiences than ads in other media. • 44% say the ads in magazines “are more relevant to me”, compared to just 24% for TV ads and 14% for ads on the internet. • In magazines, advertisers can focus their message on key consumer segments – without the wastage that occurs in other media.